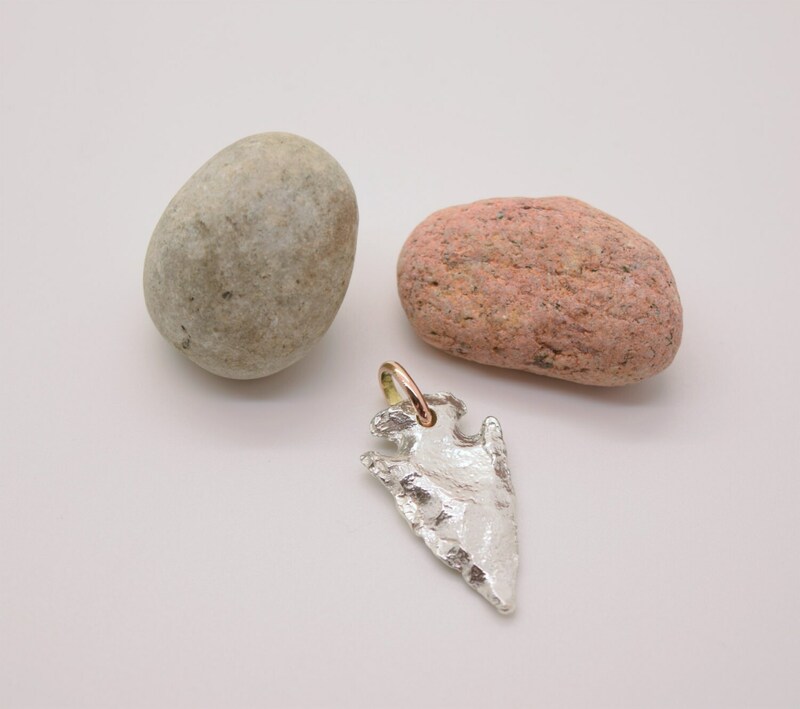 A mystical arrowhead pendant cast in solid silver with an 18ct. Rose Gold oval loop. 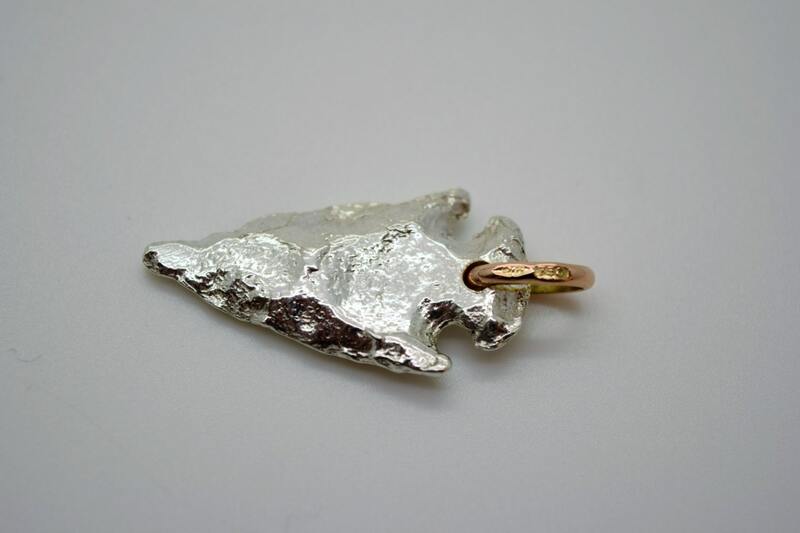 The casting has been taken from a Neolithic flint arrowhead discovered in Cornwall. The arrowhead is 32.5mm long and has a depth of 4.4mm.